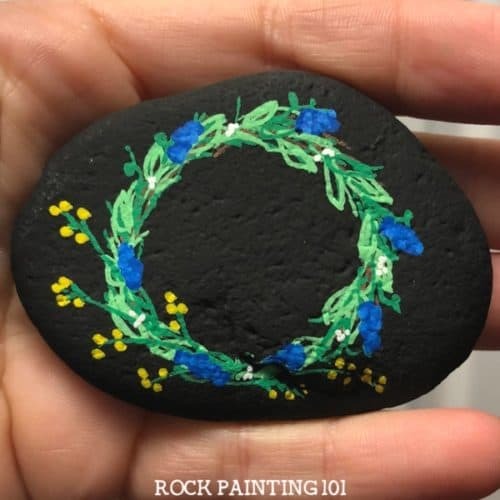 This spring wreath painted rock is fun and simple! 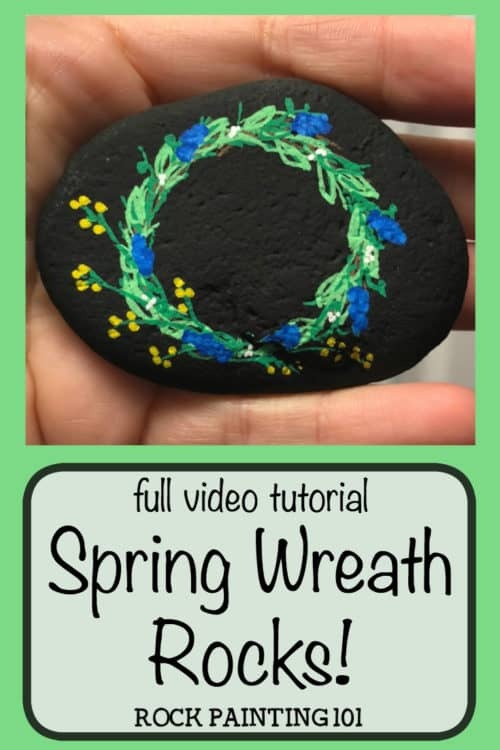 Check out how to draw a wreath with paint pens and be amazed at how simple this stone painting idea is! We’ve had some warm days. 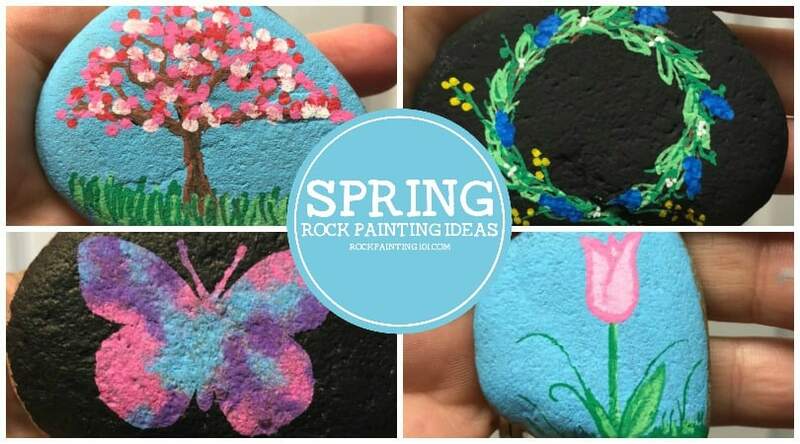 Today I woke up to a little bit of snow falling…I don’t care, I’m ready for spring, I’m ready for some more spring style rocks! 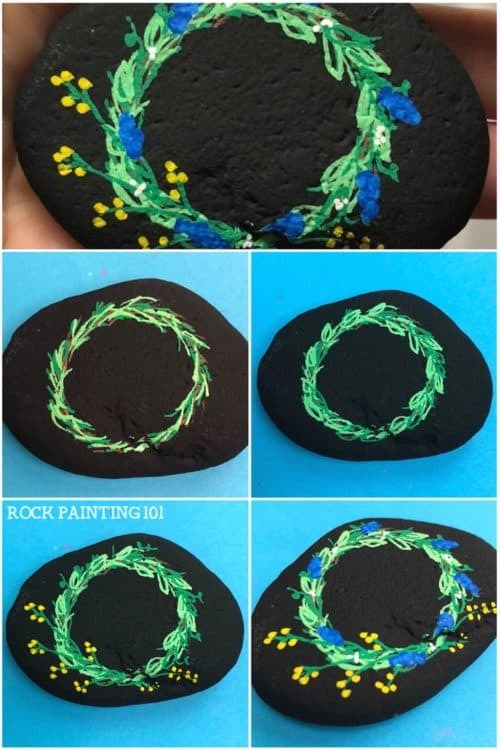 So I pulled out some rocks with a nice black base coat, and I created this fun spring wreath painted rock. To create this wreath, I drew a circle using short lines. 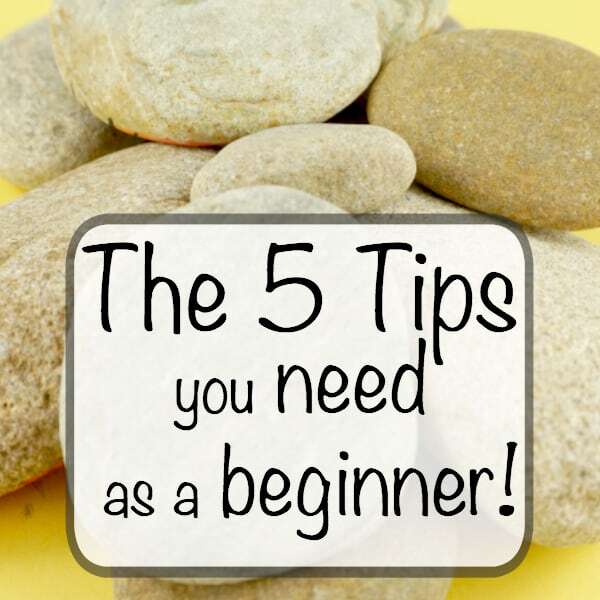 Start with the brown layer. Then go over the wreath shape with some dark green. Then again with light green. 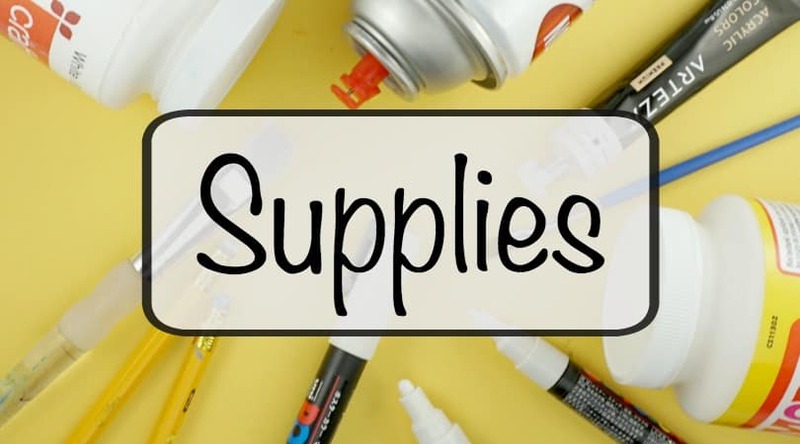 Make sure to keep the lines going in the same direction. Sketch in a few dark green leaf shapes onto a couple of the lines that you just created. Repeat with the light green. Just like if you were hanging a wreath on your door, you want to choose which side will be the bottom of your design. Grab the dark green and draw a few longer stems coming off the bottom. You can also add some little sprigs of greenery popping out around the wreath. To create the little yellow flowers, just add small dots along the long green lines. Make sure they are attached to something. You don’t want floating buds. 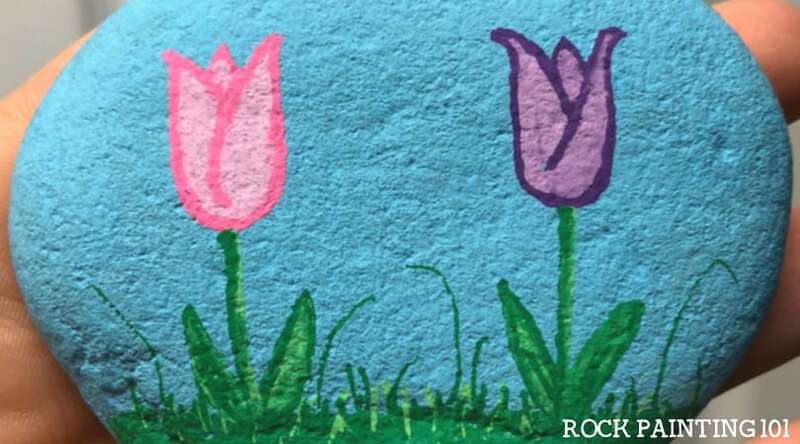 To create the blue flowers, paint a small and long oval using a circular motion. Then, before the paint dries, tap a few dots with the light blue pen. This will give the flowers some character. Finish off your spring wreath with a few little white dots. These almost make me want to go out and make a spring wreath for my door!! 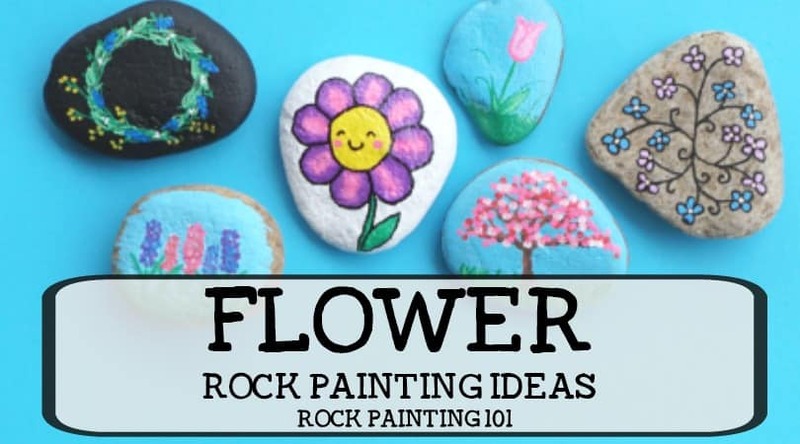 Pin this flower wreath rock to your favorite Pinterest board!